OnFiction: Dark Side of Austen? “It is a truth universally acknowledged, that a single man in possession of a good fortune, must be in want of a wife.” It is perhaps one of the most famous first sentences, and it resides in one of the most loved English novels: Pride and Prejudice. Austen’s tone in it has been described as satirical, light, ironic, cheerful. Austin herself called it "light and bright, and sparkling.” Yet as I re-read the first chapter of this much loved classic, it struck me that all this bubbling and sparkling masked the psychological flavor of characters, the flavor surprisingly disturbing and dark. The family presented in the first chapter comprises Mr. Bennet, married beneath his education and intelligence to Mrs. Bennet (who we are told was once a beauty), and five daughters of various ages and talents, none but one of whom is smart enough to deserve her father’s affection—the book’s heroine, Elizabeth. Mr. Bennet scoffs at the frivolity of his wife and her preoccupations, the main one of which is to marry her daughters well. 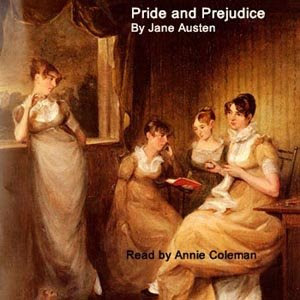 There is little question, even after reading just one chapter, where Austen’s sympathies lie—with the father and the father's favorite, who are bearing the inanity of the rest of the family contingent with humor and grace. Let us rewind, for a moment. Mr. Bennet despises his wife, yet has begotten five daughters on her beauty. He feigns disinterest in the business of marrying, yet the second question he asks about the young man recently moved to the neighborhood is "Is he married or single?" In the second chapter he proceeds to visit him rather hastily, thus making possible a dinner invitation to his home. Most interestingly, he proceeds to torment his literal-minded wife with insinuations of the visit, like a cat playing with a mouse it is about to kill. Mr. Bennet despises his wife, yet has become the very thing he despises. His festering resentment bubbles up as an endless sea of jibes at his wife and daughters. He is trapped in the world he finds trivial and yet enacts its values. Let me catch a breath, though, before I start suggesting marital therapy, divorce, or suicide for Mr. Bennet. Could it be that Keith is right, and that North Americans can’t even talk about the weather without taking it (and themselves) too seriously (please see Travelogue: Weather or Not)? Sure, Austen could have written a tragedy, but she did not. And we should be grateful—writing about hopelessness shouldn’t be a serious business.